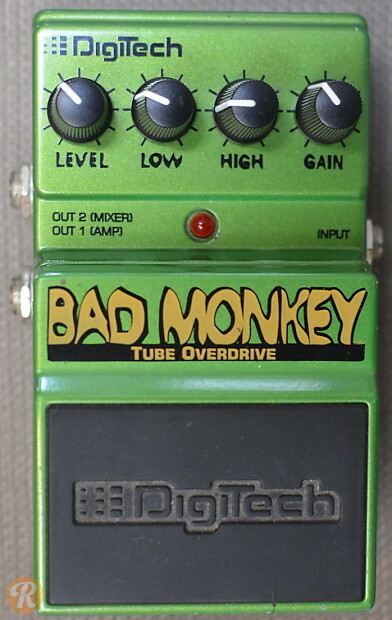 The DigiTech Bad Monkey is a tube overdrive meant to emulate the Tubescreamer. The Bad Monkey comes with controls for Level and Gain, as well as separate controls for low and high EQing. It also sports a secondary output meant to go straight to a mixer.